Desire in the Faerie Queene research papers overview the poem by Edmond Spenser and his use of desire. The benefit of desire in The Faerie Queene lies in the fact that it provides the opportunity for the knight to resist it. Self-control is an essential component of the knight’s strength; and it is this strength that allows him to live a virtuous life. When confronted with the temptation of the feigned Una, the knight wisely keeps his wits about him as he “hasty heat tempring with sufferance wise, / He stayde his hand, and gan himselfe aduise/To proue his sense, and tempt her faigned truth” (I.i). This conflict allows passion to be controlled in favor of reason. Also, when the Redcrosse Knight is again tricked with a false vision of Una in bed with another knight, his inability to rule his anger leads him into trouble when he abandons Una. 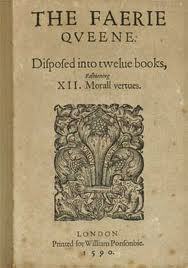 The Faerie Queene research papers have been written by literature experts. We can produce a custom written project following your guidelines. This model of self-control extends to many other aspects of virtue in the poem and is summed up in the following lines. In The Faerie Queene, the only allowance for desire and pleasure is as a result of trial and test. The true love of Una and the Redcrosse Knight culminates in their marriage after the knight’s exhausting, yet successful, quest. Even then, the two do not live together as the Redcrosse knight is quickly called away. True love is a product of respect, restraint and higher principles than gratification in the form of earthly pleasure. This is seen in the Redcrosse Knight’s description of Una as: “[h]er, whom he waking euermore did weene, / To be the chastest flowre, that ay did spring/On earthly braunch, the daughter of a king” (I.i). Another example of the way that love is a reward that is earned comes at the end of Book III when Britomart and Amoret are reunited and “Her body, late the prison of sad paine,/[becomes] … the sweet lodge of loue and deare delight”(III.xii). Epic Poetry essays discuss one of the oldest forms of poetry that tells a story, or narrative. English Poetry research papers examine the english poetry that dates back to the very beginnings of England as a nation, during the Early Middle Ages. Paper Masters writes custom research papers on Desire in the Faerie Queene and overview the poem by Edmond Spenser and his use of desire.